Cats and dogs may help spread life-threatening superbugs to their owners, scientists have warned. They harbour a protein that makes bacteria resistant to antibiotics and could pass it on to people, according to new research. It’s been found in our favourite pets, including ‘man’s best friend’, at a small animal hospital in Britain. The gene, known as optrA, enables blood poisoning bacteria called enterococci to become immune to linezolid. The medication is used as a last resort for treating potentially deadly infections in humans. These include MRSA (methicillin-resistant Staphylococcus aureus) and streptococci, two of the leading causes of sepsis. Figures suggest about one in 100 cats and 2% to 9% of dogs in the UK are carriers of MRSA. It has also been found in horses. Study leader Dr Katie Hopkins, from Public Health England (PHE), said: “We believe this is the first report of optrA-positive enterococci isolated from companion animals in the UK. “This is concerning as transmission of this organism to owners carries the potential for spread to other bacteria, including Staphylococcus aureus. This may lead to difficult-to-treat infections. Linezolid is not given to animals in the UK. But blood samples from the cats and dogs suggested they carry bacteria resistant to it. Dr Hopkins said optrA is key to this process and could be spread between different populations of bugs among cats, dogs – and humans. She told the European Congress of Clinical Microbiology & Infectious Diseases in Amsterdam: “Linezolid is not licensed for veterinary use in the UK. Linezolid resistance is rare in enterococci but has been detected in lab samples from both humans and animals. It’s usually found inside the genes of chromosomes, making the resistance mechanism stable and incapable of spreading to other bacteria. But in recent years genes causing resistance to linezolid, such as optrA, have been identified on mobile bits of DNA called plasmids that can spread to other bacteria. The alarm was raised during routine testing of a sample of Enterococcus faecalis from a cat wound swab at PHE’s veterinary antimicrobial resistance lab. The bug inhabits the gastrointestinal tracts of humans and other mammals. It can cause a variety of hospital-acquired diseases, in particular urinary tract infections. 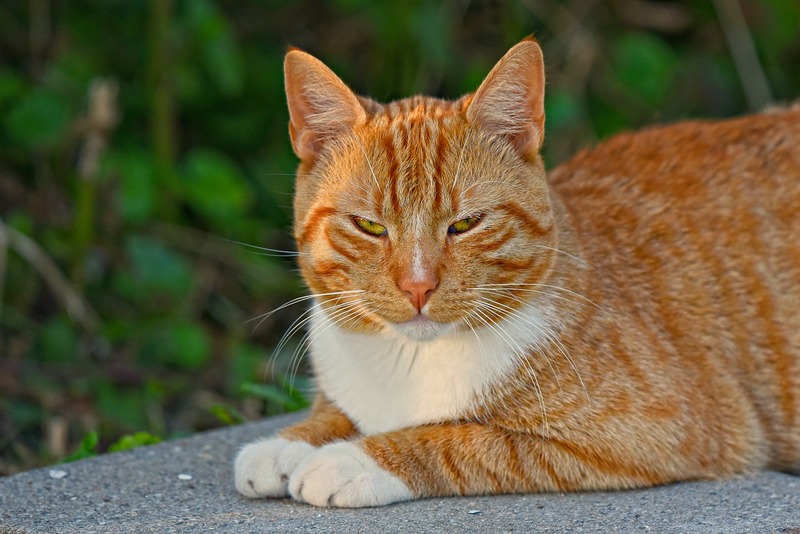 Subsequently, three further isolates of the same bacteria from two other cats and one dog from the same hospital but different households, were analysed. The four wound swabs were confirmed to be resistant to linezolid and another antibiotic called gentamicin. Worryingly all were positive for optrA and there was evidence of transmission between animals. Dr Hopkins said: “Our findings further the ‘One-Health’ view antibiotic-resistant bacteria can be shared by animals and humans, although the direction of transfer is often difficult to prove. “We currently do not know the prevalence of linezolid-resistant enterococci in companion animals and therefore a joint approach to monitoring emergence and dissemination of resistance mechanisms of public health importance is needed. Since pets are in such close proximity to many more humans, they’re more likely to transfer resistant bacteria to humans than farm animals, mainly through saliva or skin contact. There is growing concern pets risk becoming reservoirs of resistant microbes that spill over into their owners with disastrous effects. Previous research has suggested pets can harbour the hospital superbug MRSA and it can pass between them and their owners. Cats and dogs have the same strain of the bacterium as people, scientists at Cambridge University found. MRSA may spread between animals at veterinary clinics in a similar way to hospital infections, they said. Methicillin-resistant Staphylococcus aureus (MRSA) is commonly carried on the skin of healthy people and humans, where it often causes no symptoms. However, it can lead to an infection, particularly when it gets into a wound.